Fat Goblin Games is pleased to announce a licensing agreement with Gallant Knight Games to create roleplaying game supplements based on the popular TinyD6 Engine. TinyD6 is a minimalist RPG system published by Gallant Knight Games. With a great assortment of genre books (such as Tiny Dungeons 2nd Edition, Tiny Frontiers, Tiny Wastelands, and Tiny Supers currently on Kickstarter), the TinyD6 Engine is an ever expanding system with a dedicated and growing fanbase. 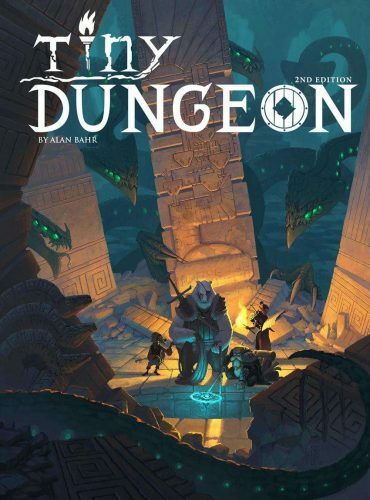 Fat Goblin Games has teamed up with Gallant Knight Games to expand on the amazing TinyD6 genre books with new supplemental material. Fat Goblin Games will bring new supplements and expansion material to the TinyD6 Engine as well as several genre books. The first planned release will be Heritage Composer, a complete guide to creating new heritages for your TinyD6 games. “We are really excited about working with Alan and Gallant Knight Games. I loved Tiny Dungeons 2nd Edition and picked it up to play with my daughters. Wasn’t long before my kids were playing on their own and Alan gifted them a complete set of game books and supplement material. It was an amazing gift to them and made me want to work with him and on TinyD6 games even more! I can’t wait to begin on the first book and believe the fans will love what we do with our supplements,” said Fat Goblin Games owner Rick Hershey. Based in South Carolina, USA, Fat Goblin Games was founded in 2011 to create Pathfinder Roleplaying Game compatible products. With a focus on high quality production values and providing a creative environment for our team of freelancers (TheFat Goblin Hoarde), Fat Goblin Games has quickly become a recognized force in the world of Third Party Publishers of not just the Pathfinder Roleplaying Game and 5th Edition Fantasy, but also supporting the vs. M Engine and releasing official products for Castle Falkenstein, originally published by R. Talsorian Games. With hundreds of support books, visual aids, campaign settings, and quality stock art, Fat Goblin Games continues to provide exciting content and fantastic worlds in which gamers can immerse themselves.